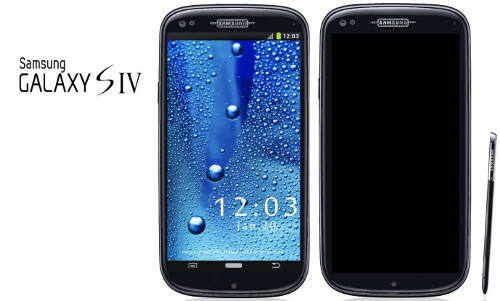 After the announcement of a new Samsung Galaxy S4 by Samsung, expected to be released on 14th March, many people over the internet were speculating various aspects about the new Samsung Galaxy S4. The majority of these aspects were concerned about the hardware that the Samsung Galaxy S4 will carry. But recent rumors about the specs of Samsung Galaxy S4, codenamed GT-I9500, look more genuine and understandable. What has the Samsung Galaxy S4 to offer people? Eye-tracking technology in web browsing to automatically scrolling when your eye reaches the end or top of the screen. Although these are not detailed specs and we might see a little change in them, but if these are really true, then the new Samsung Galaxy S4 will give a very tough time to already market giants like the SONY Xperia Z and the Apple iPhone 5. Sources have indicated that the Samsung Galaxy S4 will be launched in Black and White colors, although we are definitely sure that Samsung will bring in more colors to its new flagship product once it is in the market. Samsung’s event is dated on 14th March, in New York where they will show the first look of the new Samsung Galaxy S4. With the Samsung Galaxy S3 already in the market with an immense reputation of its own among the users, the Samsung Galaxy S4 will no doubt add further glory to the Samsung Galaxy line of mobile phones. Samsung has also posted a video teaser for its upcoming which shows a boy named Jeremy holding a box that is supposed to have the Samsung Galaxy S4 inside it and he runs to his home with the box. In the end, he puts the box down on the table and video ends at the message, “To be continued”. are you sure about exynose 5 or snapdragon 600 .!! Can’t wait to see what Samsung has to offer this time. Hope it won’t disappoint us like Apple did with its iPhone 5.